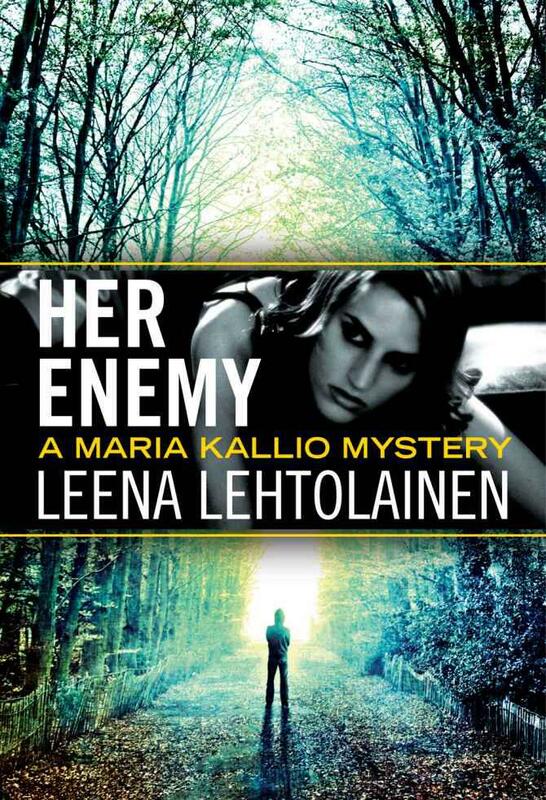 Published by agreement with Tammi Publishers and Elina Ahlbäck Literary Agency, Helsinki, Finland. The cherry trees were the first thing I saw when I woke up. The spring had been warm, and now the trees were blossoming with fluffy, fragrant bunches of flowers. Antti always wanted to sleep with the curtains open so we could see the curled branches against the night sky. It made it hard for me to sleep, but I’d gradually gotten used to it. Antti was still sleeping, and Einstein was stretching contentedly in a puddle of sunshine at the foot of the bed. It was already eight o’clock, and I needed to get ready for work. Shuffling from the bedroom to the kitchen, I started the coffeemaker. I’m useless before my morning coffee. After rinsing my face with ice-cold water, I walked across the yard to pick up the paper. The grass tickled my bare feet, and, as I breathed in the scent of cherry blossoms, I could already sense the coming heat of the day. The only thing disturbing my idyllic moment was the noise from the constant construction on the West Highway. out from under the sheet like a child’s. He’d been up late struggling with his dissertation again and hadn’t crawled into bed until nearly dawn. We had been living together for a little over a month, and so far, we’d managed to avoid any serious blowups, despite my occasional anxiety. New place, new job, new routines, no real sense of direction after graduating…plenty of stress for one woman. I’d known Antti for a long time—he was friends with my roommate’s boyfriend years ago, and I remember there being electricity between us even then. We’d lost touch until last summer, when that boyfriend was murdered and I’d been assigned to the investigation. After I solved the case, Antti and I found we were still interested in each other. A romance didn’t fit in with either of our plans: I was grinding away like a madwoman at my master’s thesis, and Antti was working on his dissertation and teaching math courses. But then our lunches at the university started lasting longer, and after a while, we’d skip the food to make love on the couch in Antti’s office. I eventually finished my thesis and started looking for work, which was much harder than I had imagined. For a moment, I even considered calling my old boss at the police department, though begging for another temporary posting would have meant swallowing my pride. Then everything shifted: Antti received a large fellowship that made it possible for him to work on his dissertation full time for the next year. I found a job in a small law office with a laid-back atmosphere in the North Tapiola area of Espoo, and the same week, my great-aunt’s heirs told me they’d decided to sell the apartment I’d been living in for four years. since he was working at home. I started searching for a new place of my own, but then Antti found out that his building would be undergoing an extensive exterior renovation. I pulled the phone away from my ear for a moment and stared at it. “You don’t decide this kind of thing over the phone,” I finally said, trying to stall him. Moving in together felt too final. Too frightening. After hours of talking at his place that night, I had eventually agreed. Antti’s parents were going to move to Inkoo on May Day and stay until the end of September, maybe longer. Antti’s father had retired in the spring, and it seemed likely they might even move to Inkoo permanently. I hadn’t thought through anything past the summer, but I knew that with my new salary from Henttonen & Associates, I could afford to find an apartment if things didn’t work out with Antti. I nearly always rode to work on the north side of Tapiola, keeping to the shoreline and grassy meadows along the way as much as I could. As I was passing the shopping center downtown, I spotted a familiar blond head. Makke Ruosteenoja was next to a dumpster, breaking down a huge pile of cardboard boxes from his sporting goods store. “Hey, Makke. Did you get tired of building your fort?” I brought my bike to a stop next to him. As I continued my ride to work, just a quarter of a mile away, I thought about my first meeting with Makke. A couple of days after starting my new job, I’d gone to buy some bicycle saddlebags I’d seen in the window of Makke’s shop. I’d been the only customer in the store, so Makke spent a long time going over all the various models. The next night, we happened to be at the local gym at the same time. While I was working my triceps on one of the machines, Makke sat down on the military press bench next to me. We continued our conversation, talking about bikes, whenever we were at adjacent stations. We seemed to be in sync: as I walked out of the women’s dressing room after unwinding in the sauna, Makke was just coming out of the men’s side.